The virtuoso of V-Series is the DreamWeaver™ XE – the only machine in the lineup to feature all eleven industry-first features, including a 11.25” workspace and large 7” x 12” embroidery area. The Quattro® 3 Trilogy Limited Edition is the vision of its predecessors with innovation all its own. 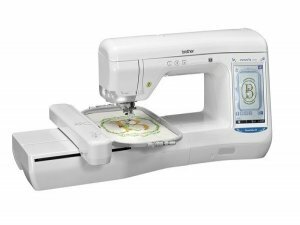 The Quattro® 3 Trilogy features the LED pointer that shows the needle drop position with pinpoint accuracy – critical for your embroidery projects. 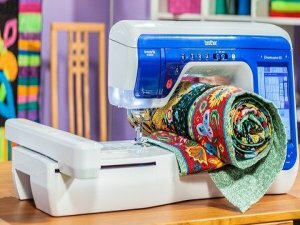 Use the Multi-Function, two-pedal Foot Controller to control up to three different sewing functions, all with the press of your foot. The Quattro® 3 Trilogy features 10" LED lighting for brilliant, full spectrum lighting and a Software Upgrade that give you even more creative freedom with embroidery fonts and frame sizes. You'll also be sure to find all the features you know and love from the Quattro® and Quattro® 2, like the Color Shuffling™Function, the improved ASV HD LCD display, scanning feature with InnovEye® Technology and a 10" Pen Tablet for use with the My Custom Design™ feature. Tap into the power of Innov-ís today with the Quattro® 3 Trilogy by Brother™. Address: 1585 N. Pacific Hwy.